A holographic mosaic of small squares that changes appearance in different angles of light. Laminated with a film to protect your stickers from the sun and rain and has a permanent adhesive for long lasting applications. Full colour printing including white, and the ability to select opaque colours makes this material fully customisable. 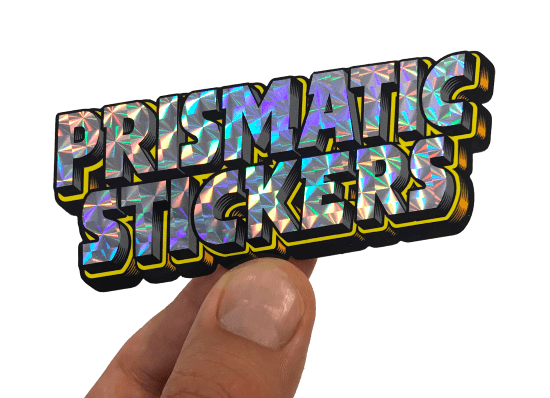 Perfect for that 1980’s retro sticker look or to give your stickers a unique look.